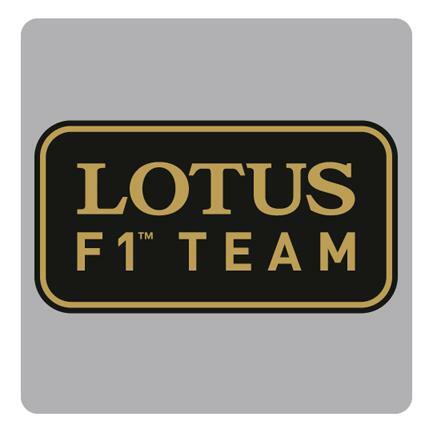 Another strong performance for Lotus F1 Team saw Romain Grosjean take a fighting third, whilst team-mate Kimi Raikkonen battled his way to fifth in a tense Japanese Grand Prix at Suzuka. A superb start from Romain saw him lead in the early stages, before fighting hard with both Red Bulls in the latter stages. Kimi endured a tough start - dropping back to P11 - before battling back in typical fashion to climb back up the order. Kimi retains third place in the Drivers' Championship on 177 points; sixteen clear of Lewis Hamilton and thirty behind Fernando Alonso. Romain Grosjean remains eighth in the standings on 87 points, just three behind Felipe Massa. The team maintains fourth in the Constructors' Championship on 264 points; now just 23 behind Mercedes and comfortably ahead of McLaren. Kimi started from P9 with a scrubbed set of medium compound tyres, changing to scrubbed hard tyres on lap 11 and new hard tyres on lap 31. Romain started from P4 on a scrubbed set of medium compound tyres, changing to scrubbed hard tyres on lap 12 and new hard tyres on lap 29. Kimi Raikkonen: "I had a very poor start. I left the line with wheel spin and lost a few places which wasn't ideal, but I managed to gain places back later on in the race. After the final pit stop the car was working much better. It ran well in the last half of the race and I was very happy with it. It was a pretty normal race I would say. It's difficult to overtake here so it's good that we got some points. We did what we could." 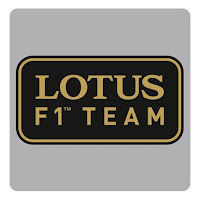 Romain Grosjean: "Today was just a very, very good race. What a start! It was superb to go past both the Red Bulls like that and it'll be one of my best memories of the year. The car was fantastic on the first set of tyres and we managed to pull away, but then the Red Bulls were able to reel us in later on. Ultimately, we were the only car to almost catch the bull. It's been a great home race for my engineer; it's always good to come to Japan and it's really good to be back on the podium again." Eric Boullier, Team Principal: "It's great to see such a good fight in the race and both our cars show so strongly. Once again, both drivers, our strategists and the pit crew performed brilliantly and we did the very best we could on track. We don't have the pace to beat Red Bull, but today we showed them that we are nevertheless quite formidable whilst also underlining to Mercedes and Ferrari that we are a strong contender for the final four races of the season. We must say a big thanks to everyone at Enstone for the fantastic car we have in the E21. To see Romain leading the race was very satisfying and we hope to see that again very soon." Alan Permane, Trackside Operations Director: "It was a great race for us and superb to see Romain leading for so much of it. We were the only team to take the fight to Red Bull; ultimately they were too quick for us but we took a strong and well deserved third place with Romain and a fighting fifth with Kimi. Romain made a fantastic start and we had enough in hand in the first stint to be able to pit a lap later than Mark, but they started to catch us on the medium tyres and Sebastian was able to catch and pass reasonably easily with their superior pace. It's a great feeling to show so strongly at Suzuka." Ricardo Penteado, Renault Sport F1 Team Support Leader: "Suzuka plays to the strengths of our chassis-engine package, with the straights taking advantage of the good top end power whilst our driveability and good tyre wear favour the slower, more flowing sections. A great race for Romain today; he had a fantastic start and was in contention for the win throughout the entire race. Kimi also had a strong race and was very close to giving Renault a perfect 1-2-3-4 result!"